Fine for manipulating Libor feeds into $2.1 billion fourth quarter loss UBS. Swiss banking giant UBS on Tuesday reported a massive fourth-quarter loss and announced it is capping its largest bonuses to bankers after a difficult year in which it settled charges of manipulating interest rates. The bank posted a fourth-quarter loss of 1.89 billion Swiss francs, or $2.1 billion, bringing its full-year loss to $2.8 billion. UBS said it would cap its top bonuses at $1.1 million, half the previous cap. It said that a change in its compensation model changes the focus at the bank to medium- and longer-term performance, which it said should reduce risk and increase accountability. Overall bonus pay of $2.8 billion was down 7% from 2011 and 42% from 2010. In December, UBS agreed to pay $1.5 billion in fines to U.S., U.K., and Swiss banking regulators for its role in manipulating Libor, the rate banks use when borrowing money from one another. Libor is used as the benchmark in trillions of dollars of loans and financial instruments. 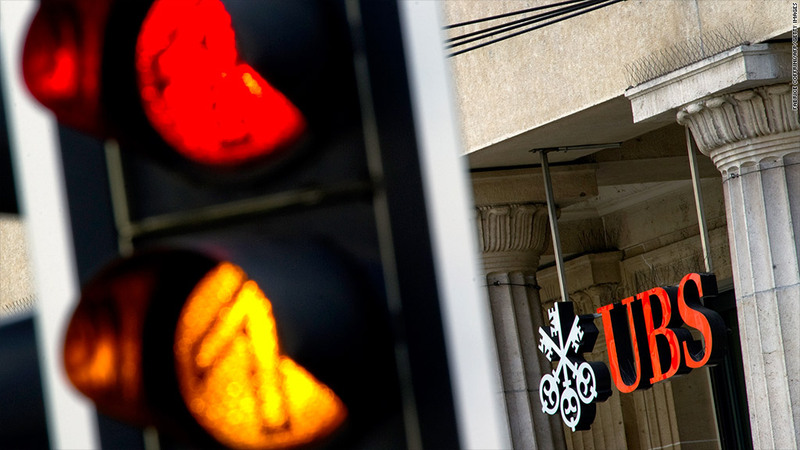 Two former UBS traders also face criminal charges as a result of the probe. In October, UBS announced a massive restructuring that included cutting 10,000 jobs at the bank worldwide. It said restructuring costs in the quarter came to $258 million, although that was dwarfed by $2.3 billion in charges for provisions for litigation, regulatory and similar matters. The company also announced a plan to repurchase up to $5.5 billion of its debt and to double its dividend. Shares of UBS (UBS) were lower in premarket U.S. trading.